Unfortunately, Mashuq Mushtaq Deen, the playwright and sole performer of DRAW THE CIRCLE has advised us that, for personal reasons unrelated to InterAct, he is unable to perform the show as planned. Therefore, after careful consideration, we will be cancelling the fourth show of our season. All of us at InterAct are incredibly disappointed to have to cancel our production of DRAW THE CIRCLE. The playwright also has expressed his deep regret. We were so looking forward to sharing it with audiences for a full performance run. We hope that you will continue to support us going forward with our dynamic line-up for 2018-19 and stay tuned for information on JUNE-A-PALOOZA -- an exciting festival of new work that we will be hosting June 1 - June 30! WHAT DOES THIS MEAN FOR YOUR DRAW THE CIRCLE TICKETS IF YOU HAVE THEM ALREADY? IF you are a subscriber and already have DRAW THE CIRCLE tickets you have three options transfer, donate, or refund. Your 17-18 subscription ticket(s) to DRAW THE CIRCLE will be transferred to our 18-19 season. These tickets will become InterFlex Passes for the upcoming season and therefore usable for any show in any configuration. Whether or not you purchase an 18/19 subscription, you’ll be able to use your InterFlex Pass for any production and on any date next season (pending availability on that date). CLICK FOR MORE INFORMATION ABOUT OUR EXCITING 2018-19 SEASON! The value of your 17-18 subscription ticket(s) to DRAW THE CIRCLE will be returned to InterAct as a tax-deductible donation. We rely on donations like these to continue to produce all of the work you enjoy from InterAct. 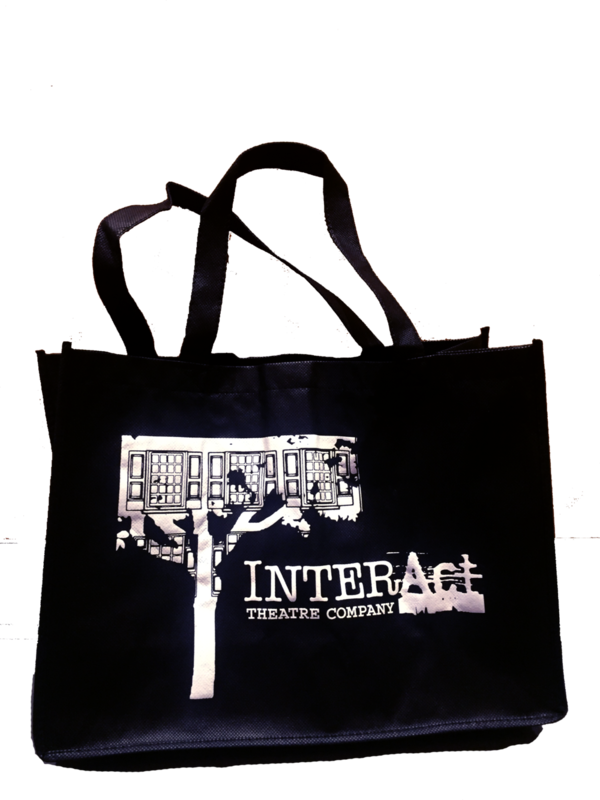 With your donation you will receive an acknowledgement letter, be listed as an InterAct supporter, and are eligible for a handsome InterAct Tote bag. the value of your 17-18 subscription ticket(s) to DRAW THE CIRCLE will be refunded to you by the same payment method you used to purchase your subscription. or call our Box Office at 215-568-8079, or email us at boxoffice@interacttheatre.org, Subject Line: DRAW THE CIRCLE tickets. In the coming weeks, our staff will be sending individual emails and making personal phone calls to follow up and ensure we provide exceptional service. If you take no action at all, or if we are unable to reach you, we will apply our default option to Transfer your DRAW THE CIRCLE tickets from our 17-18 Season to our 18-19 Season. *If you take no action at all, we’ll apply our default option to Transfer your DRAW THE CIRCLE as flex tickets to our 2018-19 Season. *All 2017-18 Subscribers will receive a voucher for 1 complimentary non-alcoholic concession, as a token of our appreciation for your patience, understanding and flexibility. Please look for your voucher(s) with your 2018/19 subscription ticket package in September.